HyDRO (the Hydrologic Data search, Retrieval, and Order system) allows users to search the GHRC database for specific data sets. HyDRO was developed to make the tasks of locating and selecting candidate GHRC data sets easier and more intuitive for the end user. 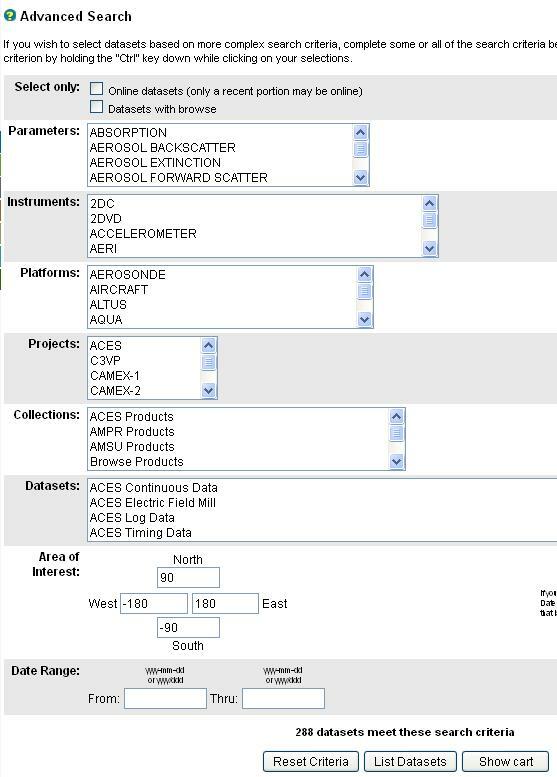 HyDRO can provide the user with a list of GHRC data sets specific to his or her requirements. Users can browse through the online information for each dataset, download the online datasets via FTP, or place an order to be staged for FTP pickup. Some datasets can be subsetted to geographic and/or temporal bounds to reduce the size of the files staged for delivery. The search and order process uses the "shopping cart" paradigm familiar to most web users. 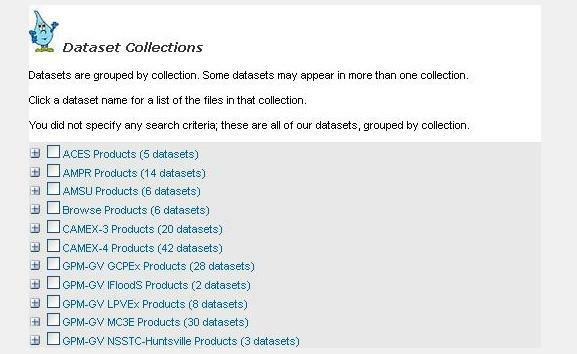 Users may search for datasets that fit their criteria or go directly to the dataset list. Regardless of the path taken, HyDRO strives to efficiently direct users to the correct dataset listing page where they may explore documentation, images, and files related to the desired dataset(s).